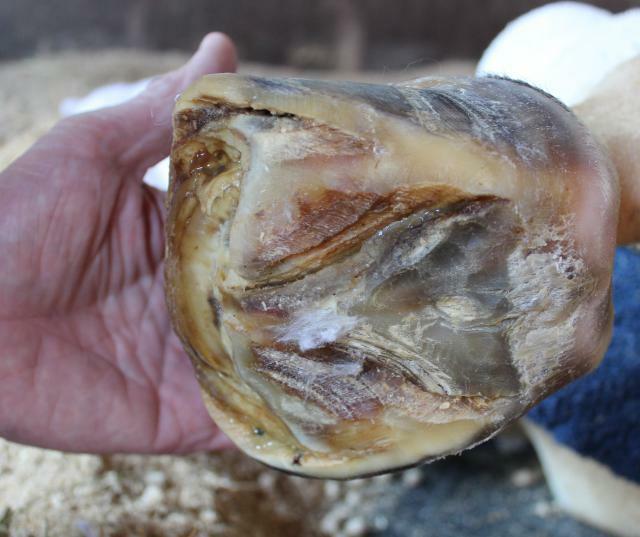 Hoof resections are one of those terms in hoof care that can mean different things to different people, ranging from debriding a hoof crack to removal of the wall in laminitis. 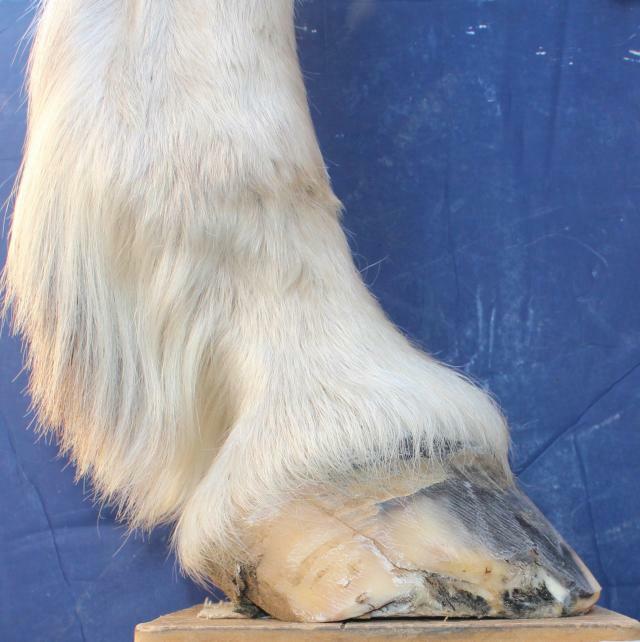 Most hoof professional's opinions of resections, for or against, fall into the category of "convictions on the level of religion" which makes discussing them typically quite heated. 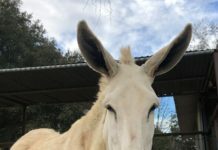 See this previous blog for my thoughts on respecting each others' farrier work: https://blog.easycareinc.com/blog/hoof-love-not-war/one-hoof-church-all-religions. 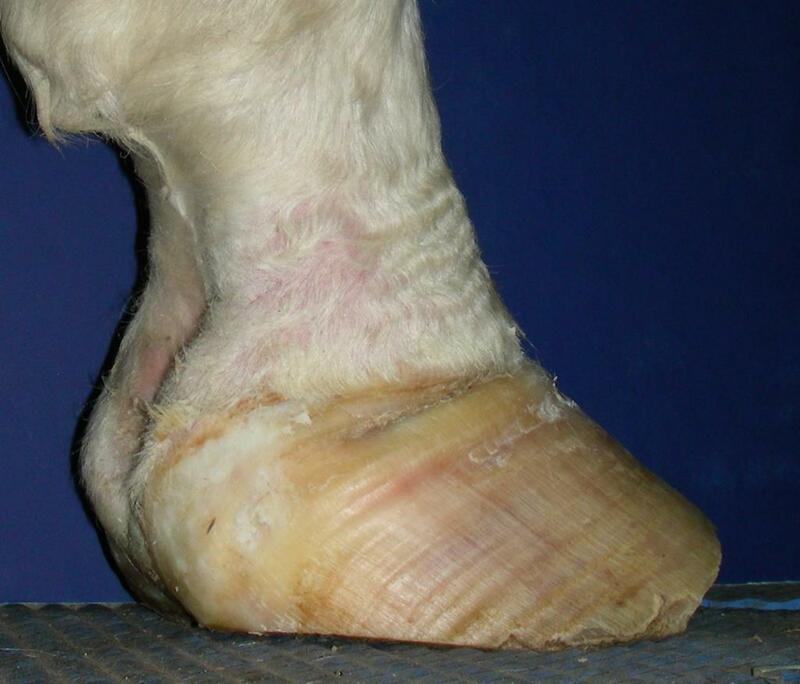 I am not talking about the legal definition of hoof resection being confusing. 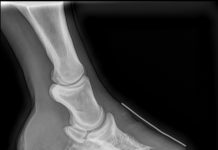 Hoof resection legally is very clear and is determined by your state's Veterinary Practice Act. I'm talking about how the term resection in every day use impacts how we think about the foot we're looking at, whether we might do a resection if needed and what others think of us if we do them. Resection: noun ri-ˈsek-shən the surgical removal of part of an organ or structure. Surgery: noun ˈsərj-rē, ˈsər-jə- the treatment of injuries or disorders of the body by incision or manipulation, especially with instruments. Here seems to be the root of the problem. A rasp is an instrument. 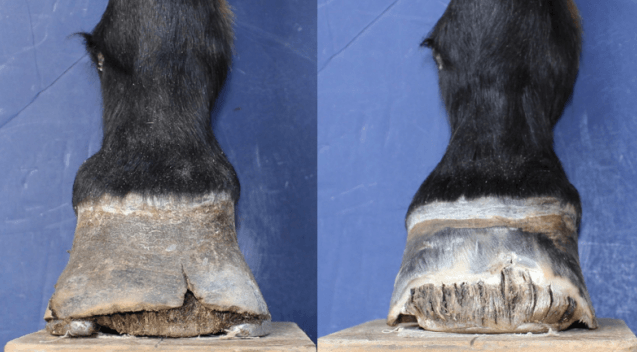 We remove material, especially with nippers and a hoof knife. 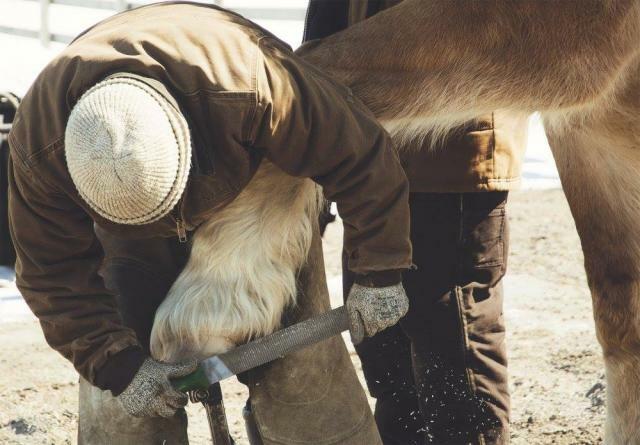 Therefore is trimming the hoof a resection? It may seem like a ridiculous exercise of the imagination to put trimming in the realm of resection but where do we draw the line? Removing flare is an example of "treatment of a problem by removal of structure with an instrument", a loose definition of resection. Most of us wouldn't get our knickers in a twist about removing some flare, however what about aggressively removing flare, invading inner wall and white line, is that a resection? If there's a crack in the area that requires cleaning up, is that a resection? Or removing a laminar wedge with power tools? Or debriding a detached wall on a foundered horse? Maybe we're getting closer to something the majority of us would consider a resection? I haven't even mentioned blood yet. 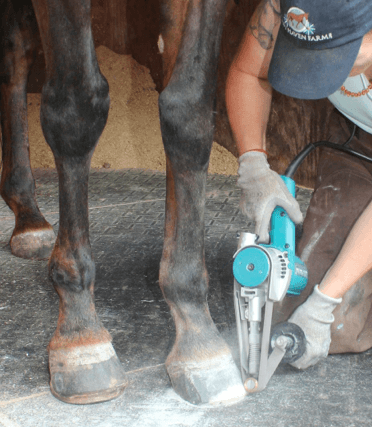 These ideas and the sometimes blurry line between what lies in the farrier realm versus the veterinary realm means resections carry a a lot responsibility. The responsibility knowing when, why and how to do them; and the responsibility of who should do them in what situations. Maybe you have no need to ever considering anything close to a resection with kinds of horses you work on. Or maybe you have horses you work on that you wonder if more should be done and if you or someone else should do it. My farrier work is focused on rehabilitation, and a majority are laminitic and foundered horses. Working on these kinds of horses, I certainly run into situations when resection is needed. 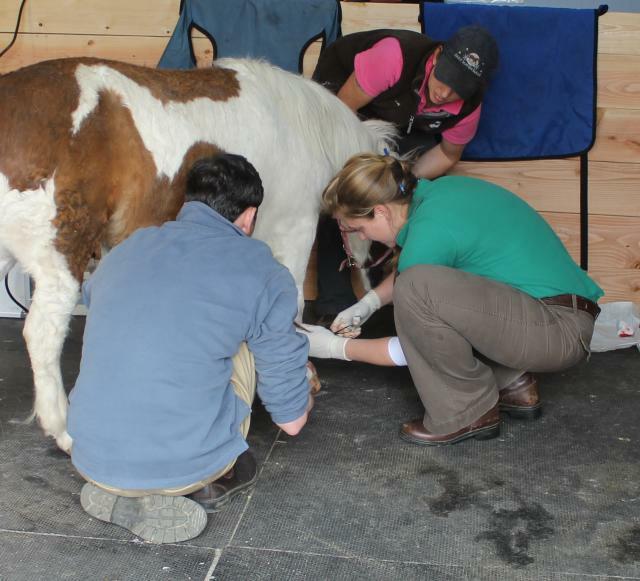 Any time I am working on a pathology I work as a team with the horse owner and veterinarian. 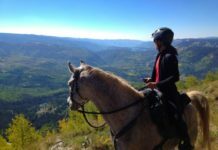 If we're all on the same page with the care needed for the horse, then appropriate decisions can be made about who does the work, how the work is done, and when; thereby preventing confusion and misunderstandings regarding what's in the best interests of the animal's care. In Part 2 of this blog, I'll show some examples of what has been considered resection in my work, how the situations were handled and why.